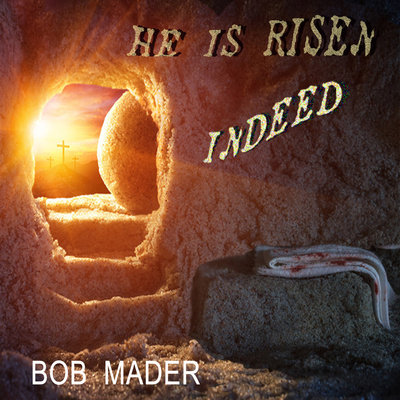 Bob Mader's debut single, "He is Risen, Indeed!" fuses gospel and modern praise & worship to bring to life the excitement of that first Easter morning when the world discovered the stone had been rolled away. Right from the opening wail of the saxophone, listeners can feel the joy build as it crescendos into the exuberant and infectious chorus; "He is risen! He is risen! He is risen indeed!" This jubilant anthem is sure to be a staple of Easter services across the globe and across denominational lines for years to come. Redefining a genre in this prepackaged music industry is nearly impossible, but Bob breaks the mold of what we have come to expect from today's Christian artists. Drawing from both his Catholic roots and his immersion in today's modern praise & worship music, Bob then adds a dash of rock, country, blues, or whatever genre fits the mood of the song. With each project, he creates a new recipe with exotic spices. surprising tempos, and eternal truths, enabling him to both surprise and delight with each new track.